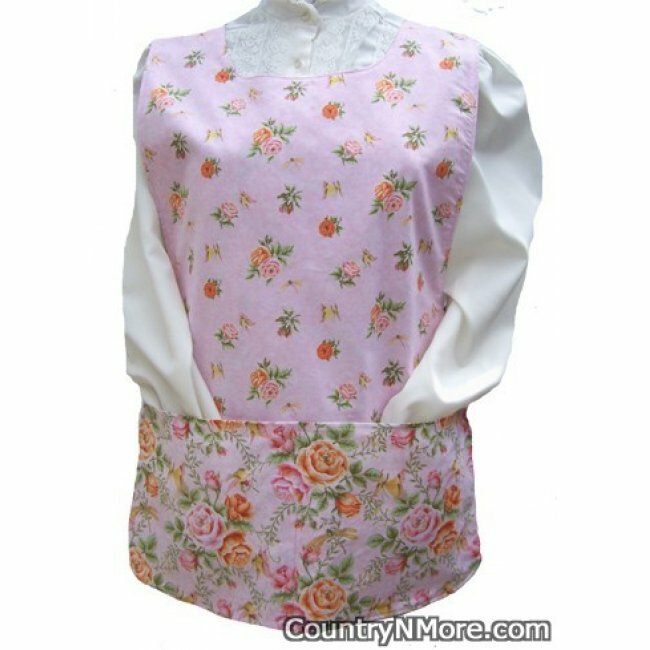 This gorgeous rose cobbler apron was made using Debbie Mumm fabric. Gorgeous large rose can be seen throughout the print. Now, we can not forget about the yellow butterflies and dragonflies fluttering amongst the roses. The pocket and straps are made using a coordinating rose print. The rose bouquets set against the light pink background are so perfect. I also have another cobbler apron using these prints, which has the main apron, straps, and pockets with all the same prints. 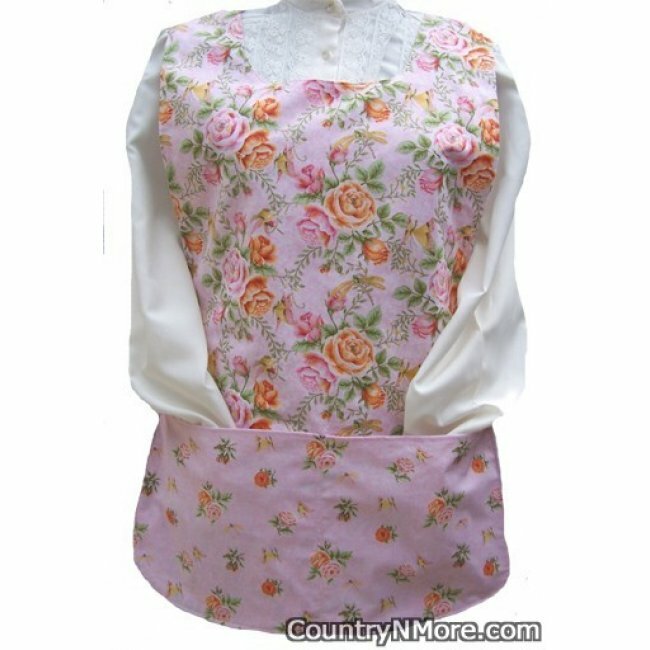 While the one side has large roses for the apron, pockets, and straps with the large rose fabric, the reverse side has the apron, straps, and pockets made using the small rose print.